The SIGNET monoclonal antibody is specific for the alpha smooth muscle actin isoform. The two major cytoskeletal proteins implicated in cell motility are actin and myosin. It has been shown that actin and myosin are constituents of several cell types and are involved in many cellular processes including locomotion, secretion, cytoplasmic streaming, phagocytosis and cytokinesis. Actin is one of the most conserved eukaryotic proteins and is expressed in mammals and birds as six isoforms characterized by laboratory protein analyses. Four of the six represent differentiation markers of muscle tissues, while the other two are found in practically all cells. The relative proportion of actin isoform is different in smooth muscles of different organs and changes within the same population of smooth muscle cells during development and differentiation. The actin found in human tissues shares some homology with other species, therefore the antibody,can als be used in various veterinary applications. Actin may help in the characterization of stromal cell heterogeneity in various organs and distinguish smooth muscle cells from fibroblasts in mixed cultures. 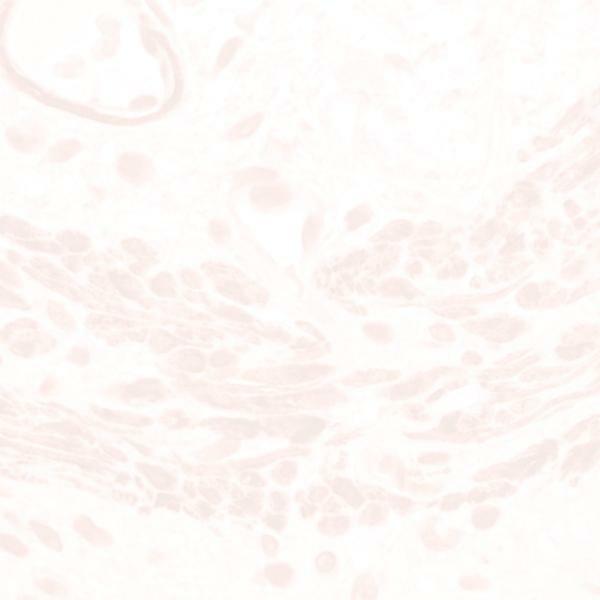 The antibody can be used in the characterization of smooth muscle tumors, myoepithelial tumors, and benign proliferation containing smooth muscle cells.